In applying for medical school one of the most frequently asked questions on the interview trails is, “What do you want to do in medicine?” While the interviewers know that there are countless responses to this question including answers like: “I hope to become a surgeon,” or “I would like to work in an under-served community” the answer that is often sought by these interviewers is “I would like to be heavily involved in research.” These interviewers realize the importance of research. he interviewees have come to realize this and make it part of their standard response, even though in reality only a small percentage of physicians are actively involved in research. I must admit that when I was asked this, I ‘towed the party line’ and would make sure to include ‘research’ in my response. I was not being completely dishonest with this answer, as the idea of taking part in research studies intrigued me and I did hope it to be part of my career in medicine. Where I may have been misleading though is the amount I wished to delve into research; if one’s career in medicine could be broken down into percentages, many of these interviewers would like research to be 30- 40% of one’s medical career where in reality for many, besides the required residency research project, research only encompasses 5- 10% of their career. This is only a generalization; thankfully, there are many physicians that devote most of their time to research. But now that I’ve become older (and hopefully wiser) I have come to realize why the response of ‘research’ is so sought after; in medicine, research is what drives innovation and change. 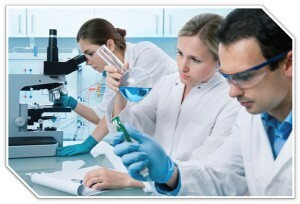 Without research we wouldn’t be nearly as knowledgeable as we are in topics like Heart Disease and Cancer. In fact, without research driving the progress of medicine, we would likely still be in the Dark Ages of medicine, with life expectancies in the 30s and preventable diseases like polio ravaging the population. Much of medicine is reactionary: if someone presents with a heart attack, steps are taken to identify the blockage and to relieve it; if a person were found to have cancer, medications (and sometimes radiotherapy) is given in hopes of hitting the cancerous cells. While both of these actions are vital to the care of these patients, they are both reactions. Research takes a proactive approach – instead of fighting these diseases and conditions, isn’t it more rational to prevent them from occurring? Perhaps my training in Family Medicine biases my opinion, but I’d like to believe that the thought that ‘an ounce of prevention is worth a pound of cure’ is a widely accepted axiom. In my eyes, research follows this approach, leading the cutting edge of medicine, preaching a proactive approach rather than reaction. When I was asked to write for the Epidermoid Brain Tumor Society (EBTS) I immediately jumped at the idea. Even though I was not a member, I had followed the group ever since my diagnosis and surgery. Their leadership especially impressed me: both Linda Frevert and Fay Powell, besides being incredibly kind, were instrumental in my decision to write for them. They have been so supportive and positive from the beginning. As I have become more involved with the EBTS, I have been able to witness EBTS’s involvement in research. Early research surveys involved members at the beginning of organization and more recently an international member conducted a study with voluntary EBTS member participants which will further the knowledge and awareness of epidermoid brain tumors and our struggles with them.The study will be public this fall 2015. Perhaps writing for the EBTS is my own way of contributing to medical progress. *** Although there are no current research studies for epidermoid brain tumors, EBTS strongly urges members to voluntarily have tissue saved from surgery for future research.